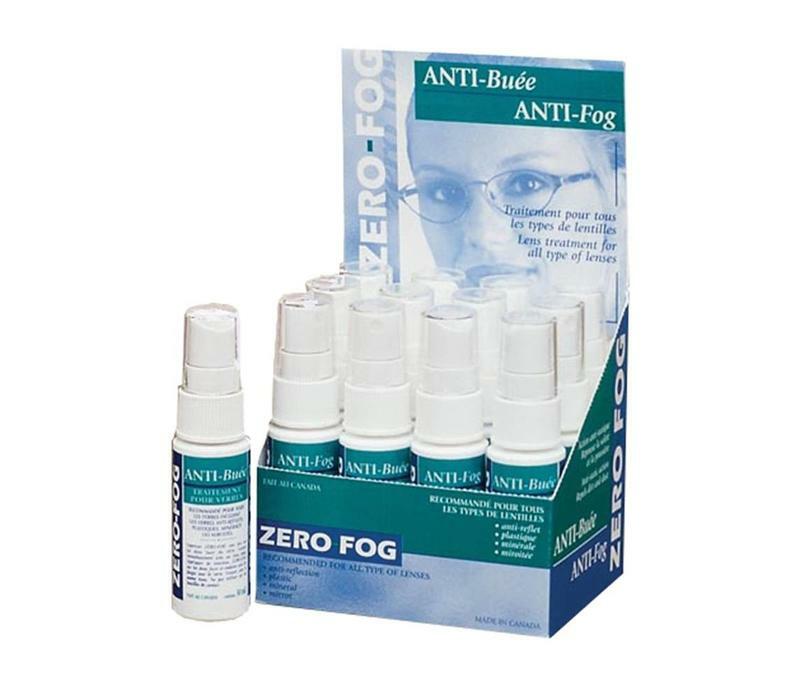 The most used anti-fog material in the world. 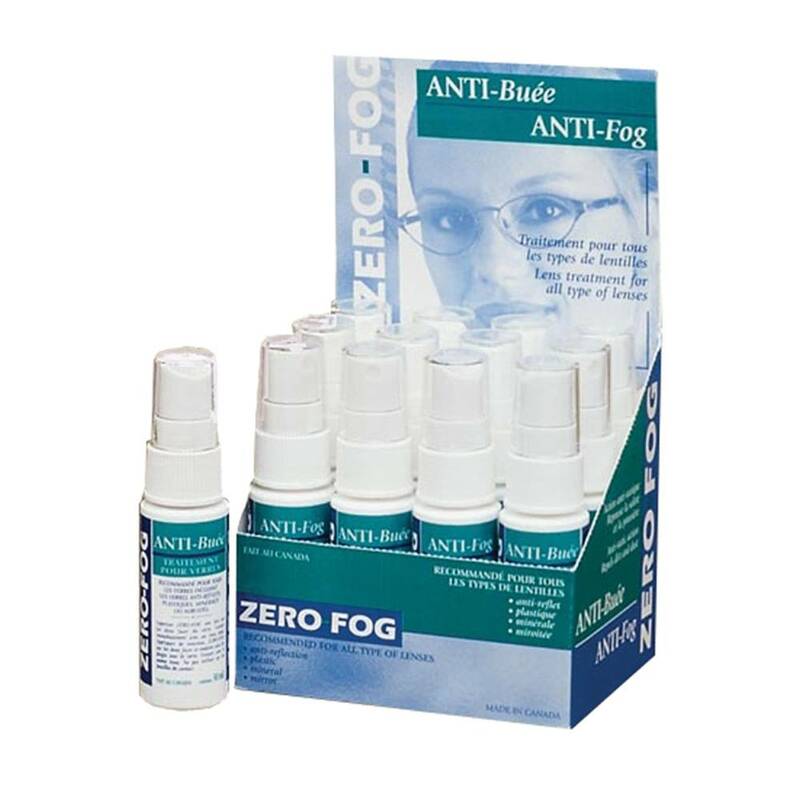 Zero-Fog prevents fogging on eyeglasses, safety glasses, face shields, ski goggles, swim goggles, automotive instrument panels, and much more. The total anti-static action prevents dust from clinging to lens surfaces which reduces the risk of scratching or damaging lenses. Display contains 12, 30mL spray bottles.